Within Deloitte's People Analytics group, we help clients achieve competitive advantage through data and cognitive powered transformations that promote enterprise intelligence, autonomous processes, and precision stakeholder engagement. As part of Deloitte’s Human Capital as a Service (HCAS), Deloitte People Analytics is the premier analytics-powered and platform-enabled cognitive consultancy. Our vision is to be the Analytics Cognitive Consultancy of choice, leading clients to the future of how humans and machines work together through insights enablement, application modernization, advanced value creation, platform transformation, personalized customer engagement and workforce evolution. 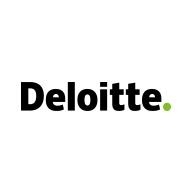 As a Deloitte Data Scientist you will use data and analytics methods and technologies to help clients interpret data and make informed business decisions. Working collaboratively with diverse clients around the world, you will also provide change management assistance and help clients design business processes that integrate predictive modeling within their existing infrastructure to drive change. • Critical thinking to debug programs, create strong variables, iterate modeling techniques, etc. Based out of our US Delivery Centers in Gilbert Arizona or Orlando Florida, you will work with the Deloitte Consulting organization to design, develop and build solutions to help clients reimagine, reshape and rewire the competitive fabric of entire industries. If not local to one of these locations, we can help by providing relocation assistance depending on how far you are moving. Our centers house a multitude of specialists, ranging from systems designers, architects and integrators, to creative digital experts, to cyber risk and human capital professionals. All work together on diverse projects from advanced preconfigured solutions and methodologies, to brand-building and campaign management. We are a unique blend of skills and experiences, yet we underline the value of each individual, providing customized career paths, fostering innovation and knowledge development with a focus on quality. The US Delivery Center supports a collaborative team culture where we work and live close to home with limited travel. At Deloitte, our professional development plan focuses on helping people at every level of their career to identify and use their strengths to do their best work every day. From entry-level employees to senior leaders, we believe there’s always room to learn. We offer opportunities to help sharpen skills in addition to hands-on experience in the global, fast-changing business world. From on-the-job learning experiences to formal development programs, our professionals have a variety of opportunities to continue to grow throughout their career.